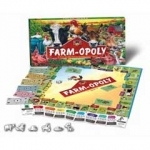 Enjoy all the fun and satisfaction of farming without the back-breaking labor, pungent aromas, and dawn-til-dusk drudgery, with these addictive farm-themed games. Prices shown are accurate as of Dec 23, 2017 17:59pm CST. Please follow the links for current pricing.